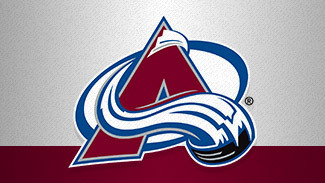 With three weeks to play in the 2011-12 NHL season, the Colorado Avalanche were in the mix for the final Western Conference playoff spot. Then, all of a sudden, they weren't. Six losses in the final seven games meant the Avalanche missed the Stanley Cup Playoffs for a second straight season and fourth time in the past six. However, an early summer doesn't translate into a lost season. The Avalanche continued to develop a very strong core of young players in 2011-12, finishing with 88 points and a 41-35-6 record, 20 points higher than they finished 2010-11. Gabriel Landeskog, 19 years old, won the Calder Trophy, and linemate Ryan O'Reilly, 21, led the Avalanche in assists (37) and points (55). Colorado's most productive defenseman, Erik Johnson, and its starting goalie, Semyon Varlamov, are both 24. Colorado confirmed its trust in this core during the summer by re-signing many of its own free agents. Even before general manager Greg Sherman began the consolidation of players, he reaffirmed his confidence in coach Joe Sacco by signing him to a two-year extension. Sacco has had a roller-coaster three seasons at the helm. After a first-round playoff exit in 2009-10, the Avalanche had an abysmal 2010-11 season, finishing 14th in the West with 68 points, before their narrow playoff miss (seven points from eighth place). Questions persist about Sacco's ability to get the most out of a young roster, but an encouraging second-half surge in 2011-12 meant he would be back this season. "Joe has earned the opportunity to lead this young team," Sherman told reporters at the time. "Our club made significant strides this season and we look forward to continuing that next season." Next up was veteran leader and unrestricted free agent Milan Hejduk, who signed a one-year, $2 million deal. The 36-year-old had his least productive season in nearly a decade, with 14 goals and 23 assists, but his value as a leader in the locker room cannot be understated. Sherman extended unrestricted free agents David Jones, Shane O'Brien and Cody McLeod. Only Jones, at four years, $16 million for someone with a 50-point ceiling, might be getting more than what might have been expected. Sherman also locked up all of his key restricted free agents. Former No. 1 pick and blueline scoring leader Johnson (26 points) re-upped for four years, joining Matt Duchene and Ryan Wilson in accepting conservative deals to stay in Colorado. Duchene, whom the Avalanche are hoping will blossom into a franchise player despite a down year in 2011-12, signed a relatively modest two-year, $7 million contract. Colorado did lose center Jay McClement and Peter Mueller to free agency. McClement's loss could prove critical; he anchored a penalty kill that improved from last in the NHL in 2010-11 to 12th last season. Sherman nabbed John Mitchell as McClement's tentative replacement, but Mitchell has barely played on special teams in the past two seasons with the Toronto Maple Leafs and New York Rangers. 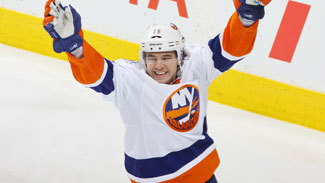 As soon as free agency opened, Colorado wasted no time picking up winger PA Parenteau from the New York Islanders. Parenteau, at 29 a veteran on this team, had a huge 2011-12, scoring 67 points (18 goals, 49 assists) as the sidekick to budding star John Tavares. "PA is a skilled winger who will instantly improve our offense," Sherman told reporters. "He's a dynamic player who will help our power play and complement our young centers." The young center in question is likely Duchene, whose frustrating campaign – 14 goals and 28 points after a 67-point season in 2010-11 – reflected a team-wide struggle to score. Colorado finished 25th in goals (199), and Landeskog led the Avalanche with a relatively meager 22. To that point, Sherman signed Steve Downie and Jamie McGinn, players acquired in trade-deadline deals who injected offense over the second half of 2011-12, to two-year deals. Downie came over from the Tampa Bay Lightning and joined Reilly and Landeskog to fill out one of the League's most explosive young lines. McGinn set career highs for goals (20) and assists (17) splitting time between the San Jose Sharks and Colorado, and his 13 points for the Avalanche from March 1 to season's end tied Paul Stastny for most on the team. "Jamie made an immediate impact from the time he joined our organization," Sherman said. "We look forward to Jamie building upon last season's performance and are pleased to have agreed to contract terms." Though O'Reilly has yet to be signed, the rest of the key players are in place. With the addition of Parenteau and another season under the young players' belts, the Avalanche should be an improved team in 2012-13. Time will tell if that improvement is enough to lead Colorado back to the playoffs.